Beautiful! Love these special places! Getting “over there” looks pretty hard. It is so good to see local governments actively restoring and preserving habitat. On Vancouver Island a great many areas have been changed dramatically through the introduction of such non-native plants as scotch broom, and most restoration seems to be left up to special interest groups rather than governments. Beautiful photos and a beautiful place. Makes me want to visit Florida again. You’re in such a wonderful place — my absolute favorite. Anytime you’d like to swap, please just holler, hahah! Thank you for taking me along to a place I didn’t get a chance to visit when I lived in Florida (I was stationed at Patrick AFB FL 2001-2005). 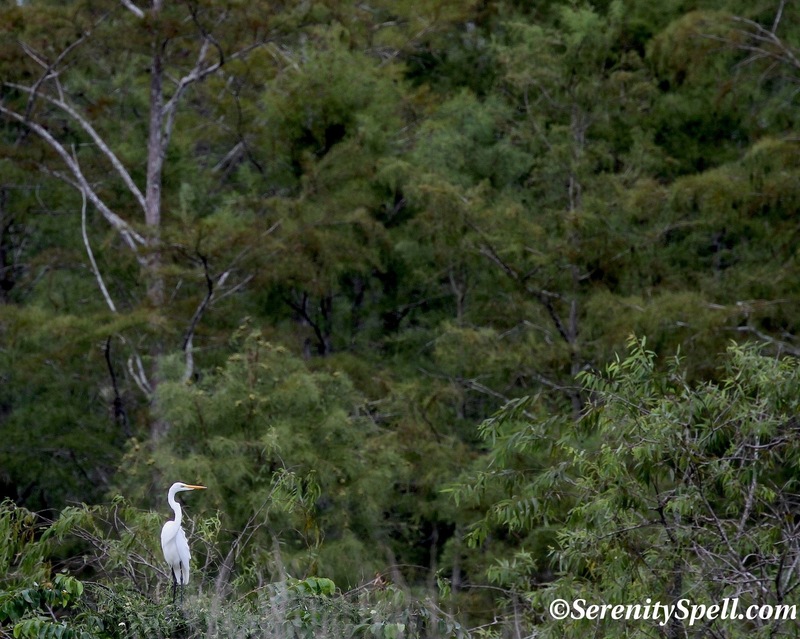 What a gorgeous area – love seeing the great egrets and it’s great to know they are doing restoration of these precious areas. 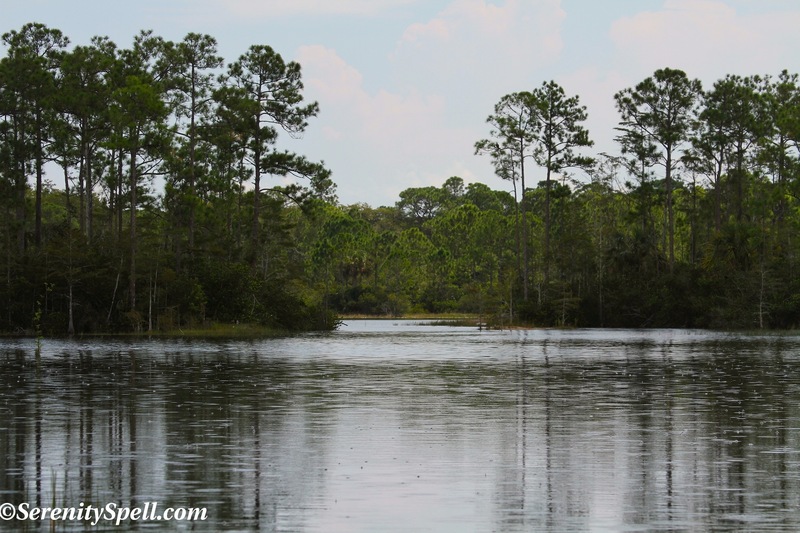 When I traveled in Florida I was really alarmed at the rate of development and growth in the wild areas. You are so cute btw lol! UR too cool for school, FG! Never mind the heat. hee hee–you two are poets, and I knows it! You would *love* these areas, judging by your own work!! 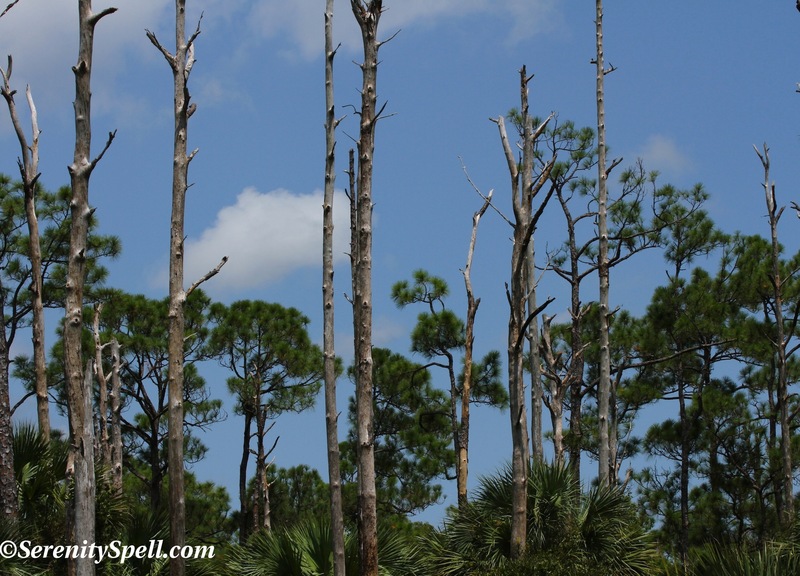 we were just talking this morning about visiting the everglades again this winter when we get back into Florida, it is a great place, and as you point out, getting greater. Winter is DEFINITELY the ideal time to visit…! 🙂 We just can’t go more than a week without hiking or Nature, so have to suffer the heated blasts. Thank goodness there are now more massive efforts being done (and money being pumped in) — the knowledge is now there, at the mistakes that were made in destroying this unique (as in ONLY) ecosystem, and altering this landscape. Curious, given the pressure on local government by developers, etc., what’s the impetus for aggressive restoration projects on the local level. Also, agree with Saymber… cute photo. Well, in this particular case, the land was acquired in the ’90s with funds from the 1991 Environmentally Sensitive Lands Bond Referendum. 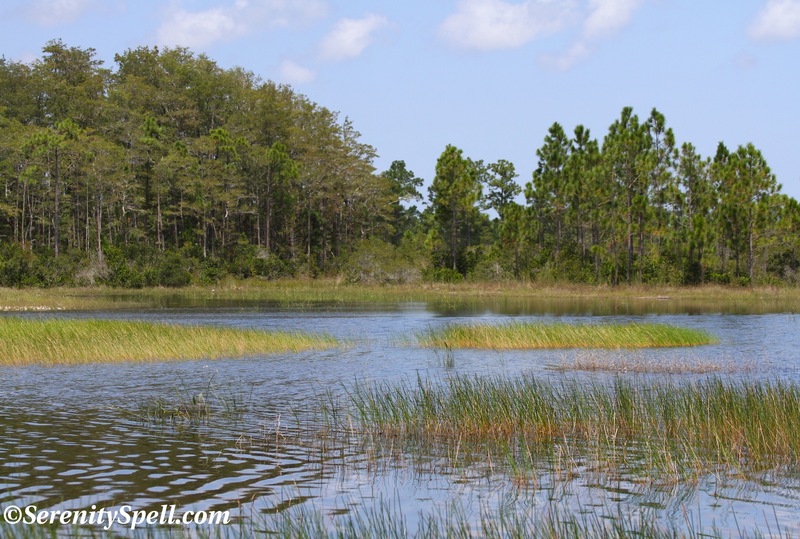 Funding came from the 1999 Lands for Conservation Purposes Bond Issue Referendum, and matching funds arrived from the Florida Communities Trust. The land borders a state park and another large park — Jonathan Dickinson and Riverbend (both which I’ve written about, under Natural Areas / State & National Parks). Perhaps that’s why there was such a push, here. But in other cases? There’s recently been an influx of funds to restore the Everglades — habitats that were destroyed and landscapes that were altered by crops and habitation. So, HOORAH! Here’s to hoping that more such preservation and restoration will be occurring soon…. Thanks for the detailed response. Once upon a time I was Executive Director of the Planning and Conservation League of California. I know how difficult it is to restore parklands. I agree… HOORAH. the places are marvelous …. people seeing and living beside such beauty sure have beautiful souls and calm inside. and yes ,,,, cute photo …. greetings ….. many thanks for sharing. I do hope that these preservation and restoration efforts will only continue to grow, grow, GROW! Not just here, but throughout the world. We’re not the only ones with disappearing threatened ecosystems…. hope so,,, so many places in need of such effort ,,, restoring nature balance. What’s that wild animal in the blue camisole and capris? Heee!! 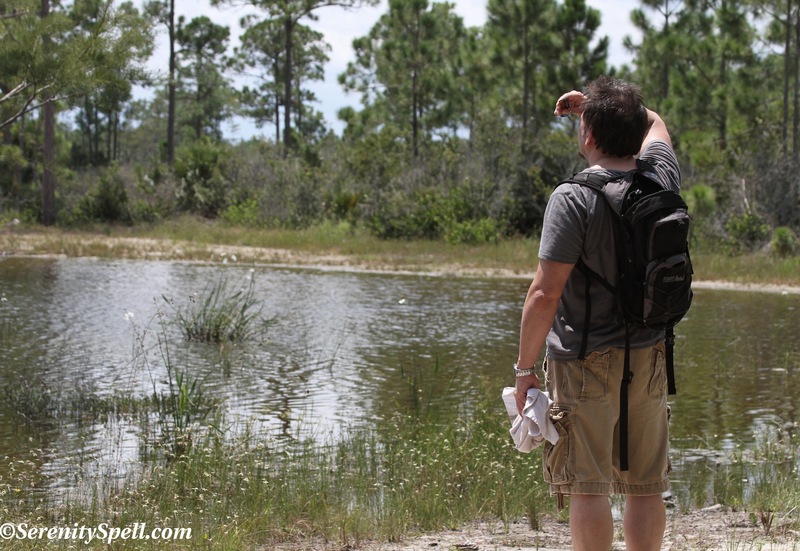 It’s native to the Everglades area… A rare but slightly overheated periwinkle-backed-pale-legged-warbler! I KNEW you were a good birdwatcher! Hahaah! You know, we are a bit endangered here… Demands much sunscreen on these long hikes, poor things. The PNW weather is MUCH more accommodating to these creatures’ appearance! Exactly!! We were SO happy to spy so many animal prints. The last time we were in that area (provided in the link), we saw fresh PANTHER prints, woo-hoo!! Just wonderful. Oh, you’d love it! 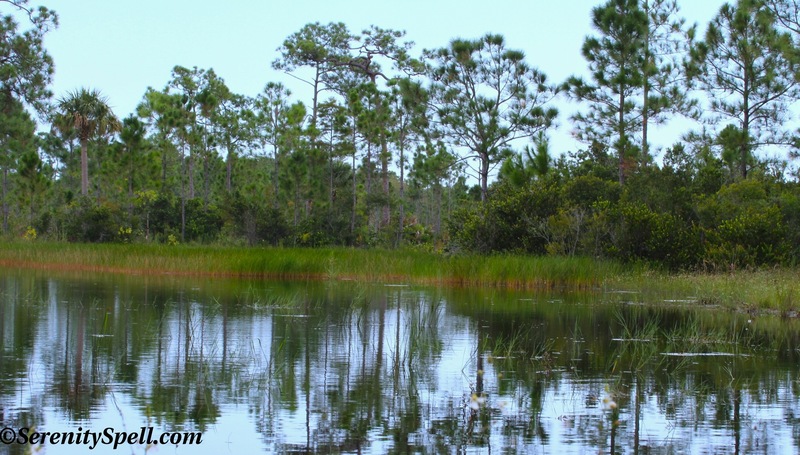 We’re so happy to see these Everglades areas returned to their original splendor. And, you’d get accustomed to the gators, too — once you understand a critter’s movements and workings (as much as possible, at least), the fear element is eliminated. Besides, like I’ve said… You have bears! Hah! Wonderful pics of you and your space! Since you mentioned alligators, I have to ask – how do you “check” for them? This is important, because without any intent at all, I landed at the Anuhuac Wildlife Refuge about two hours from home, on Sunday. 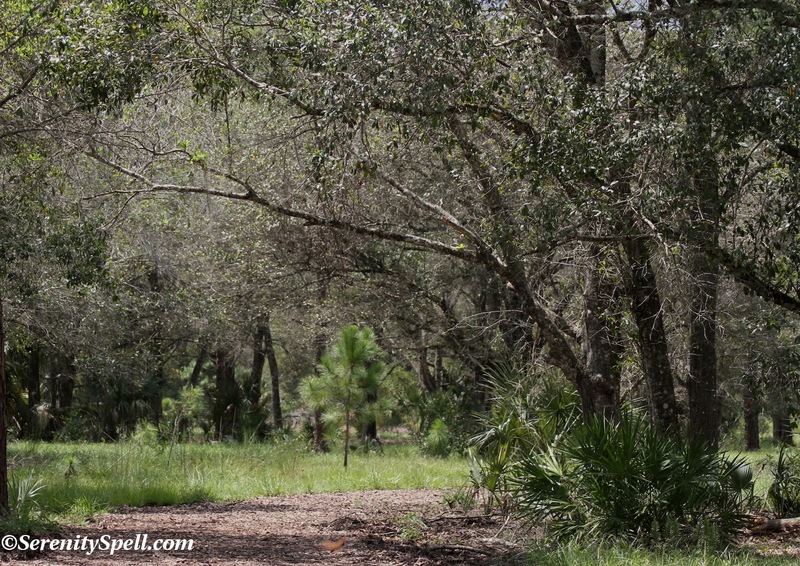 It’s filled with birds, bobcat, alligator – and snakes! Nearly stepped on one. 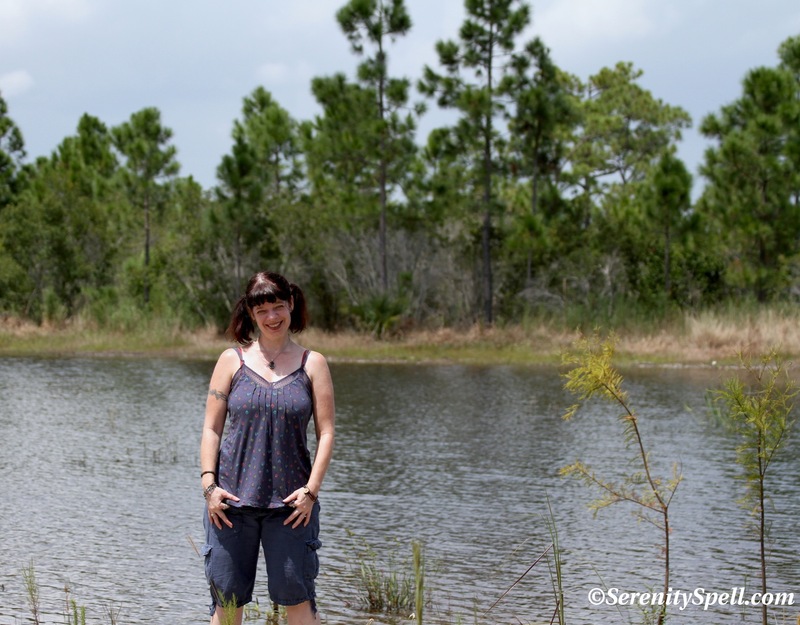 But if I’m going to start hanging out in such places, I need to know how to be safe – and being safe about alligators seems like a good place to start! Thanks so much… And REALLY great question… Wise! If you go to my toolbar above, you’ll see a heading called “Wildlife.” I have articles on all kinds of local critters in there, and posts at the top of each. For Alligators, take a peek — I have many posts on how to hike around them, what to look for (their mounds, etc) — lots of that type of info. Believe me, they want nothing to do with you, as long as you don’t get near their young’uns. Good luck! And hopefully you’ll see some of these other guys. Oh — and be aware of the wild boar. They’re icky non-native BIG beasties! Blah. It’s so good to read about restoration efforts like that! Makes me wonder though why we don’t do more conservation in the first place. EXACTLY. We were so ecstatic to see these massive efforts, and I gotta say the county is trying to preserve / restore similar areas. But developers still have a firm hold — perhaps not as strong as they did, but the damage has already been done. At least there’s more education and activism towards protecting this endangered habitat from short-sighted greed and / or misinformed altering of the landscape to suit human habitation. The first time we visited, we were out for 5 hours and only saw a bit of an entirely different section (that led to a state park)… This section was still being worked on, bits of it at least, so it was totally abandoned. Woo-hoooo! Great looking place – who could not love this place!!! Exactly!! The thought that it was all razed to the ground at one point, totally stripped (I’m trying to find an old picture) is mind-boggling…. Gorgeous! But then again, you already knew that, didn’t you? 🙂 It really is a magnificent area… Beyond thrilled that the county was able to protect it, and that it’s doing such an amazing job to preserve/return it to its original grandeur!